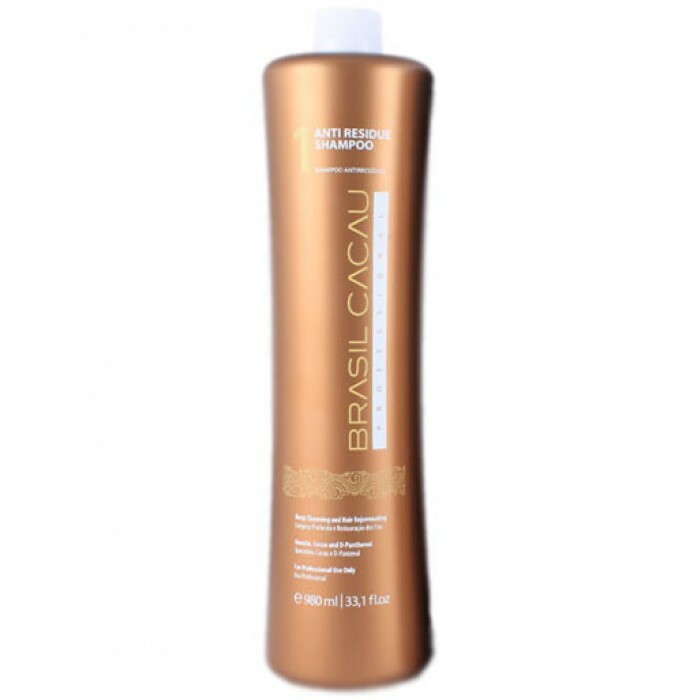 Cadiveu BRASIL CACAU Anti Residue Shampoo is a first step of Keratin Smoothing Hair Reconstruction System. Cleanses your hair deeply without over drying. Removes the build-up and impurities. Opens the hair cuticle to prepare for the following Keratin Treatment. Helps Keratin deeply penetrate into the hair shaft to increase the effectiveness of Keratin molecules. Provides deep but gentle cleansing without damaging and over drying the hair. Effectively opens the hair cuticle, removing the build-up and all impurities to deeply cleanse your hair and, if followed, prepare it for the Keratin Smoothing Treatment. This is a first step in the 3-step system of Keratin Straightening. Application of this deeply cleansing shampoo is essential and may affect the effectiveness of the Treatment itself. When the hair cuticle is open Keratin molecules are able to penetrate the hair shaft deeply, leaving your hair naturally straight and smooth. This shampoo can be used separately (not often than once a week) in order to deeply cleanse your hair leaving it free of build-up.